Boundless CFC is discontinued and the Upgraded Version is the CFC 2.0. Good things come in small packages! Superior vapor production, convenience, and design come together in this portable dry herb vaporizer. With the latest trends in mind, the Boundless CFC design ensures that Boundless legacy will continue. Having the smallest frame of all the other Boundless vapes, the CFC stands true to it’s “Compact” title, without compromising the generous amounts of vapor produced. With full temperature control, a built-in 1900mAh battery and speedy heat up time this unit offers a top of the line vaping experience! If you love your dry herb, and you enjoy discreet yet powerful, flavourful on-the-go vaping, this little gem will not disappointment! Featuring precision temperature controls, the Boundless CFC ensures you can hit the perfect vaping temp based on the recommended temperature for the dry herb strain or vapor profile. The “up” and “down” buttons displayed on the trendy 69” LCD screen, control the temperature making the user experience easy as pie! If you want to switch to Celsius, simply press both buttons at the same time and “voila”! If patience is not your strength, the CFC will not leave you twitching! Give this little number a whole 30 seconds to heat up, and you’re away to the races! It’s tough to find everything you want in one place these days, so the Boundless CFC is dressed to impress! 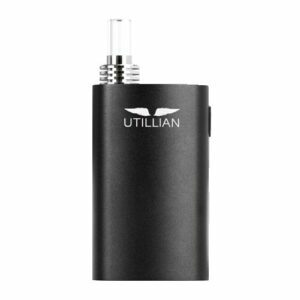 Equipped with ultra portability, functionality and sleek design, this unit covers every item on the vaping enthusiast wish list. Incredible grip and comfort are achieved with the ribbed rubber finish on the exterior, and the uniqe shell shape that fits perfectly in your palm. Measuring in at just 1 ½” wide, the CFC can hide in almost hand or pocket! With simplicity and user friendliness in mind, the Boundless CFC is also extremely easy to load by simply removing the mouthpiece, loading the ceramic oven, and replacing the mouthpiece. It doesn’t get any easier than that! Engineered specifically for a vape-on-the-go lifestyle, this unit is topping the charts for the most compact vaporizer. Oh yes, there are vaping struggles too, and charging is one of them! Boasting a super-charged 1900mAh battery, lasting up to 15 sessions with just 1 charge, or a straight hour of vaping at around 400 degrees F, the CFC will keep you powered up! If the battery just couldn’t keep up to you, don’t dismay, charge time only takes 2 hours due to Rapid Charge Technology! The battery power and dry herb are conserved and prevention of overheating by the convenient 4-minute auto-shutoff feature. In a nutshell, this powerful, long-lasting battery, eliminates 1 more of those annoying vaping struggles, so you can vape as you please with ease! 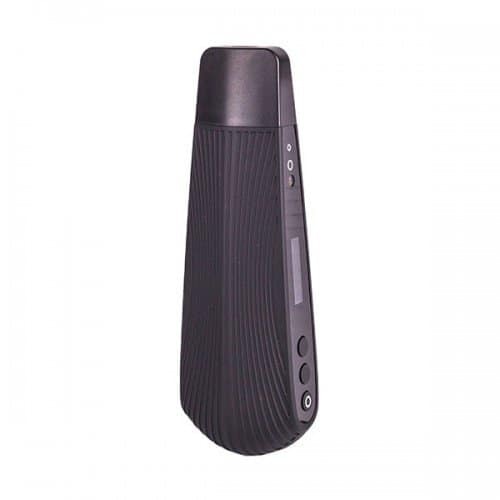 This conduction vaporizer offers even and thorough vaporization. Complete with a top of the line ceramic chamber, the CFC vaporizes dry herb gradually with lower thermal conductivity offering a smooth and flavourful vaping experience! The Boundless CFC’s isolated airpath allows the smoke-free vapor to move avoiding leakage for big, powerful clouds. If you value discretion, functionality, and dense tasty vapor, the Boundless CFC will leave you feeling like there are no limits! Found this store on a google search . Because this is a Canadian store I decided to purchase a vaporizer here. I had an awful lot of questions for Josh, the owner, and he was super patient with me. I asked a really lot of questions, 2 hrs worth over a couple sessions. He recommended a boundless cfc for me, and shipped it out the next day. It came super quick and cause I am old and not as patient as I use to be, I put it to the test. Lets just say, I lost a few hours somehow. I highly recommend this unit to anyone that is looking for a portable unit. you will not be disappointed at all. Josh is a very friendly guy and actually know what he is talking about, something in short supply these days. Buy Canadian and buy from Josh. You won’t be disappointed.